Hudson Sheaffer Photos, News, and Videos | Just Jared Jr. 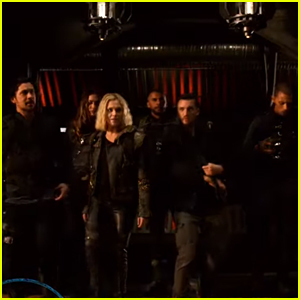 These two couples are just too cute! 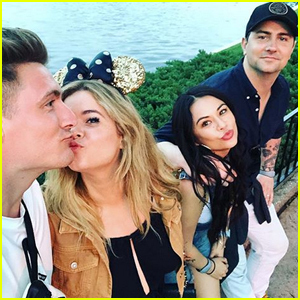 Janel Parrish took to Instagram on Sunday (March 10) to reveal that she and husband Chris Long are spending the day with Sasha Pieterse and her husband Hudson Sheaffer in Disney World! “#disneydoubledate,” Janel captioned the two photos of the couple – one of them smiling for the selfie, and they second of the couples kissing. Janel and Sasha have become close friends over the years after working together on Pretty Little Liars and now starring on the spinoff series The Perfectionists. The series premiere of Pretty Little Liars: The Perfectionists airs on Wednesday March 20th on Freeform! 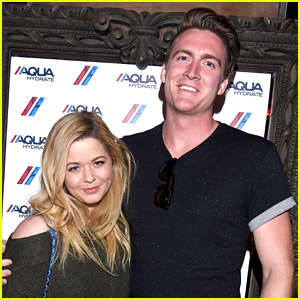 Sasha Pieterse & Hudson Sheaffer Are Married! Sasha Pieterse is married woman! The 22-year-old Pretty Little Liars married longtime love Hudson Sheaffer on Sunday afternoon (May 27) in Glaslough, Ireland, People reports. Sasha went glam in a custom Christian Siriano gown, XIV Karats necklace, and Zadig & Voltaire bracelets. Sasha‘s 28-year-old now husband popped the question back in 2017. Sasha Pieterse opened up on last night’s Dancing With The Stars about her Most Memorable Year — 2016 — the year in which she got engaged to Hudson Sheaffer. Speaking later with reporters, the Pretty Little Liars alum opened up about her upcoming nuptials and revealed that they do have a wedding date, but she still hasn’t bought her dress just yet. Sasha also shared that she hasn’t bought her wedding dress just yet, but hopes that pro partner Gleb Savchenko will be choreographing their first dance. Sasha Pieterse holds hands with fiance Hudson Sheaffer while leaving dinner at TAO in Los Angeles on Tuesday night (October 3). The former PLL star and DWTS contestant made it a date night out with Hudson, who she’s been engaged to since 2015. Speaking with People recently, Sasha opened up more about her brand new show, The Perfectionists. Sasha is even game to get her DWTS partner Gleb Savchenko on the show somehow. Bella Thorne & Sofia Carson Have a Spooky Night at Knott's Scary Farm! The start of the Halloween season in Hollywood is always marked by the opening of Knott’s Scary Farm and stars like Bella Thorne and Sofia Carson joined lots of other celebs for the big event! The actresses both hit the red carpet for the celebrity night on Friday (September 29) in Buena Park, Calif. Some of the other stars who stepped out for the event and went through the haunted mazes inside Knott’s Berry Farm’s seasonal experience included Britt Robertson, Riverdale‘s Madelaine Petsch and boyfriend Travis Mills, Sasha Pieterse with her fiance Hudson Sheaffer and Dancing with the Stars partner Gleb Savchenko, Transformers‘ Isabela Moner, Dance Moms‘ JoJo Siwa, YouTube star Bethany Mota, 90210‘s Shenae Grimes, and Hayley Hasselhoff.